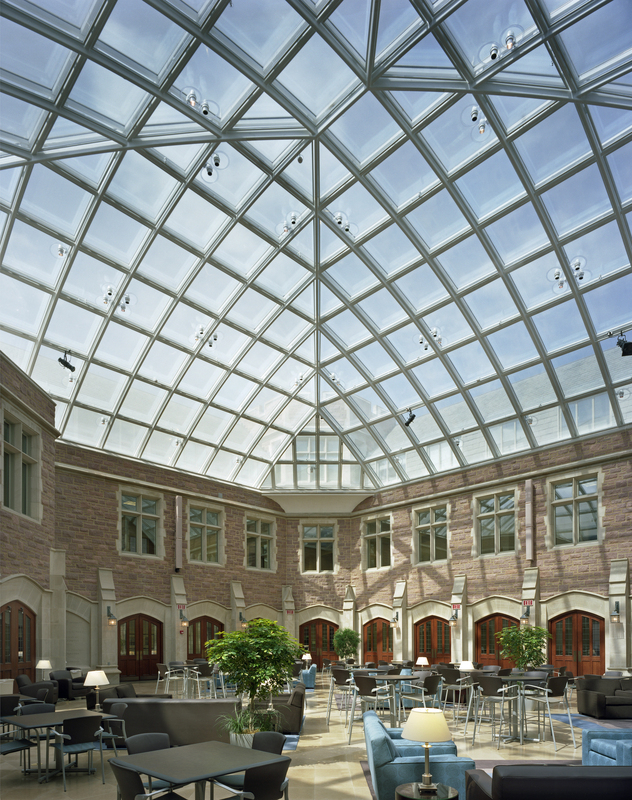 When Washington University in St. Louis renovated the School of Law's Anheuser-Busch Hall and enlarged the student commons, it took a bold direction to cover Crowder Courtyard in a canopy of glass and metal. Playing a significant role, Super Sky Products manufactured and installed a custom dome skylight spanning 80 by 85 feet over what previously served as outdoor space. "The skylight geometry and difficult to access location at the top of the courtyard presented some tough challenges to overcome. The top-of-the-line team assembled for this project is really what allows a demanding project such as this to become reality," explains Super Sky's project manager, Ryan Navis. Shielding against weathering, aging and pollution Linetec finished the skylight's aluminum framing in a Revere Gray color using a high-performance 70% polyvinylidene fluoride (PVDF) coating. "These are some of the most durable coatings available," says Linetec's senior marketing specialist, Tammy Schroeder, LEED® Green Associate. "Their long lifecycle reduces the need for maintenance and replacement and minimizes the associated time, cost and materials." 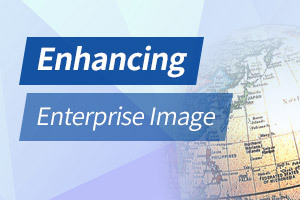 Efficient use of resources and a commitment to sustainability is a core value at Linetec. As an environmentally responsible finisher, Linetec safely captures and destroys the liquid paints' volatile organic compounds (VOC) content before the finished material arrives at the job site. For projects seeking LEED certification and other green goals, choosing durable products with no-VOC finishes can be an important part of the selection and specification process. Energy efficiency and daylighting strategies also are key tenants for green building. Helping manage solar heat gain and glare in the former courtyard, the skylight encompasses 7,210 square feet of Viracon's insulated, low-e, heat-strengthened glass with a frit pattern on the outer lite. "Doming the courtyard with a skylight presented an innovative, yet practical design to meet the school's needs, while incorporating daylight," observes Schroeder. The two-story School of Law building is constructed of Missouri Red Granite in the campus' traditional Gothic style. Designed by Hartman-Cox Architects of Washington, D.C., the $31.2 million, 175,000-square-foot School of Law's Anheuser-Busch Hall opened in 1997. It earned several accolades including the 2000 Design Award from the American Institute of Architects (AIA) Washington Metropolitan Chapter. After a decade of use, the student body, faculty and staff had increased by approximately 50 percent. During Anheuser-Busch Hall's 2008 renovation, Washington University's internal team served as the general contractor with support from Tarlton Corporation. "Hartman-Cox's vision and design transformed relatively unused space into a vibrant central hub for the Law School. Their understanding of the materials used, specifically the glass, not only resulted in an absolutely beautiful space but a useable and comfortable space as well," adds Navis. "Tarlton Corporation was the lynchpin between Hartman-Cox's awesome vision and the stunning result. The outcome of a project is usually a direct result of the people in charge of the construction and this project was no exception." Super Sky's work on the jobsite followed, installing the custom dome skylight. While it is considered the most prominent, new architectural feature, the skylight is just one part of a larger renovation. Other notable aspects of the expansion include: additional group study rooms and faculty offices, a new main entrance on the first floor, and enhanced spaces for clinical education, student services, career services, and computing, audio/visual and web services. The revitalized space accommodates academic growth, aesthetic character and functional performance. According to the university's website: "The school's traditional appearance masks its technologically advanced infrastructure; in fact, the latest computing and multimedia systems are seamlessly incorporated into the building's design. Not only does a high-tech facility like Anheuser-Busch Hall offer everyday conveniences to our students, but it also helps to increase their marketability by exposing them to the latest technological advances before they enter the legal profession." * Architect: Hartman-Cox Architects; Washington, D.C.
* Skylight glass manufacturer: Viracon, Inc.; Owatonna, Minn.